Welcome to Baseline Surveying & Design, LLC. 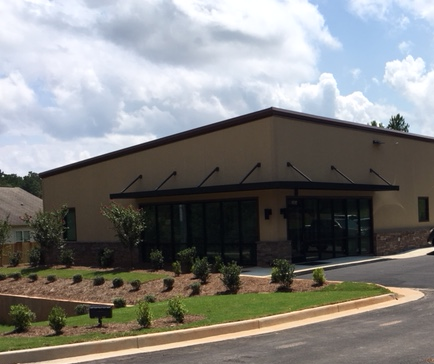 Baseline Surveying and Design, LLC is a land surveying and civil engineering firm located in Auburn/Opelika, Alabama. Our location allows us to easily serve the Auburn and Opelika areas, East Central Alabama, Lee County, and West Georgia. Baseline is committed to delivering an accurate, high quality product. By producing user-friendly drawings with information presented in a clear, concise format, our surveys become the all important base map for design. We realize that surveying is the basis for civil engineering. As a result, the design can only be as good as the information provided to the engineer. By using knowledge gained from years spent in design, Baseline is able to anticipate what elements of the survey are the most critical to the design process. This engineering experience comes into play in construction staking as well. Construction staking helps Baseline to utilize its strengths by combining solid surveying procedures with the understanding of the engineer's intent of design. Baseline doesn't just provide high definition surveys. We are able to utilize cutting edge technology combined with experience to efficiently handle any project accurately and in a timely manner. Baseline can do subdivision design as simple as dividing two lots or as detailed as creating a 100 lot subdivision with roads, storm drainage and sewer design. From GPS control surveys to rural boundaries, or from flood certificates to extensive urban location and topographic surveys, Baseline can satisfy a wide array of surveying needs. We also do small site design as well. Small site designs make Baseline a cost effective choice when it comes to a complete survey/design product. Baseline's owner, Arthur "Ledge" Nettles is the firm's principal land surveyor and engineer. He is licensed as a professional engineer and land surveyor in Alabama. He is also licensed as a land surveyor in Georgia as well. Baseline has a staff of qualified personnel that are always ready to get the job done right. Do you need a survey? You may be surprised to know how often a survey should be conducted. Find answers in our frequently asked questions.